This Poly-Rythmo LP is designed for the dancefloor! 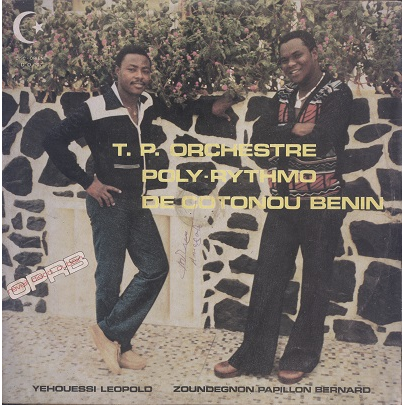 Includes the Afro-Disco track 'Moulon-Dévia' + great Afro-latin tracks at 'Le silence' and 'Yao-Yao'. Sleeve shows some moderate general wear and little writings. Record with scuffs and marks, plays mostly as solid VG / weak VG+ except for a deeper mark on side B causing some ticking but still very enjoyable (check soundclips).